“Young people growing up today will surely be called upon to address thorny problems that cut across global, interconnected systems: the environment, the economy, the global infrastructure. Few skills will be more important than the capacity to see, understand, and innovate systems. Digital media is central in almost every aspect of daily life, most notably in how we communicate, understand political issues, reflect (co-)produce, consume, and share knowledge. Perhaps nowhere is this digital influence contested more than in education, where questions arise about the ability of traditional systems to prepare young people for the social, economic, and political demands of a complex and connected new century. From these concerns springs an innovative approach to support the development of systems thinking in young people; one that allows them to see how systems are at play in the digital contexts they regularly engage and one that puts them in the position of designers of those systems. This collection highlights and supports the book series Interconnections: Understanding Systems through Digital Design. Each book of the series uses a design-based approach to learning and offers up a toolkit for supporting systems thinking in ways that are aligned with current standards and also relevant to youth interests in digital culture. 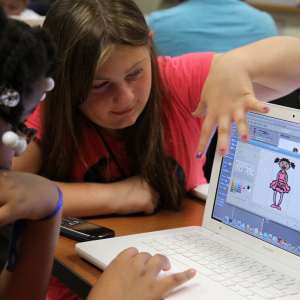 This innovative, design-based approach is useful for both in- and out- of-school settings, and was developed collaboratively by designers and educators from Indiana University’s Creativity Labs, Vanderbilt University, Institute of Play, the Digital Youth Network, and the National Writing Project. We’d love to hear from you! Use our feedback form or contact Janis Watson with questions, comments, or to connect with one of the book authors.